Staying connected is important - and the Chevy Equinox will help you do exactly that. Its interior is equipped with Bluetooth and WiFi connectivity as well as available OnStar telematics. 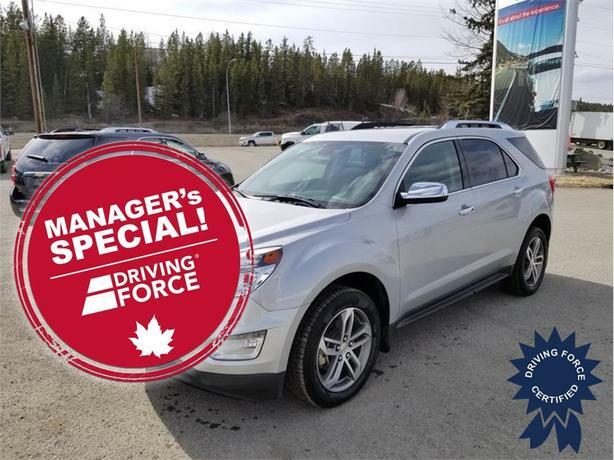 This SUV also features leather bucket seats, heated power side mirrors, remote engine start, power windows and air conditioning. Rounding it all out is its 2.4-litre four-cylinder engine, all-wheel drive and six-speed automatic transmission. Contact us today to book a test drive.